LIMITED EDITION!!! 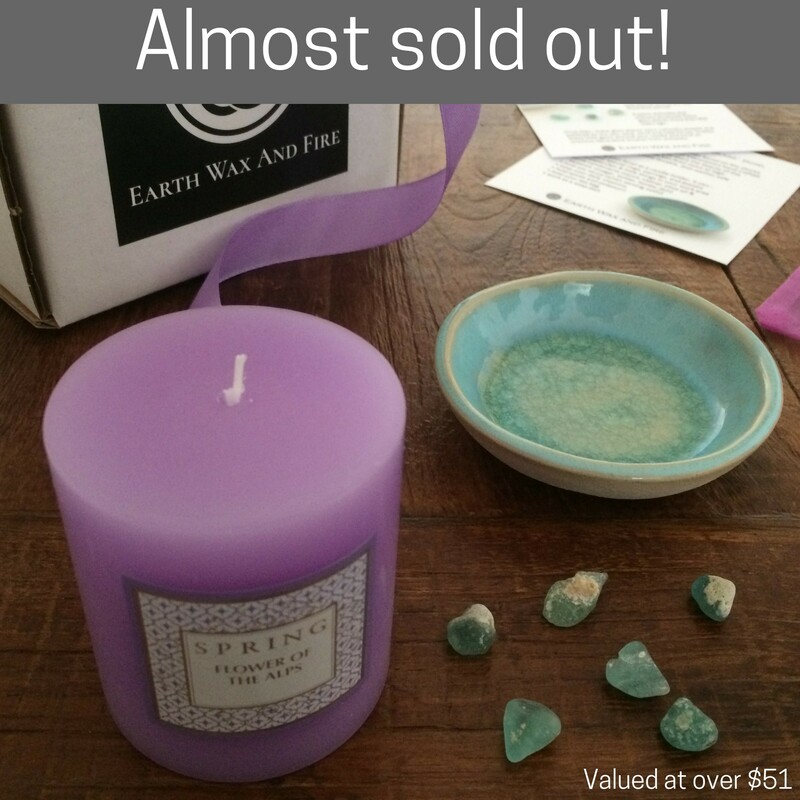 This is a very special combo with precious ancient sea glass found nowhere else in the world! ~ ~ ~ ~ ~ SPRING “FLOWER OF THE ALPS” CANDLE: We hope you’ll enjoy the crisp, clean scent of this candle as much as we do! 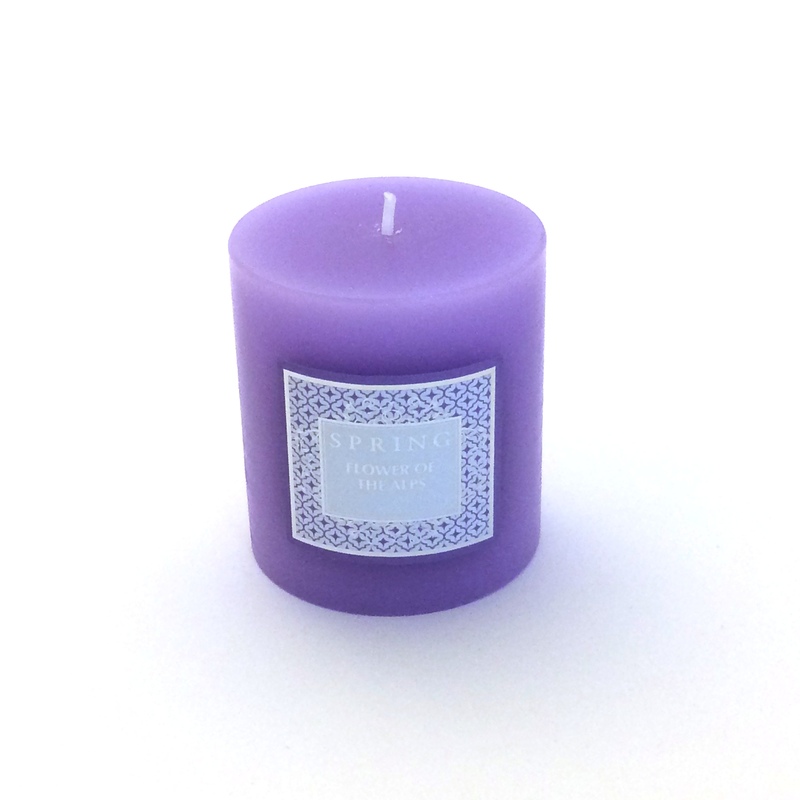 Its clear fragrance is reminiscent of hyacinth blossoms accented with essences of cedarwood, fresh bergamot aromas, and a special component from the essential oil of clary sage. Hand-made in Israel by a boutique fragrance shop called Spring Perfume House that specializes in Aromacology, a combination of two words, Aroma and Psychology defined as "the art and science of using fragrances to affect both mood and senses." Burn time is about 40 hours. ~ ~ ~ ~ ~ HANDMADE CERAMIC “SEA GLASS” BOWL: Inspired by the sea glass sometimes found on the shores of the Mediterranean, Vered of VIBceramics hand crafted this special bowl as a way to share the beauty of the coastline. 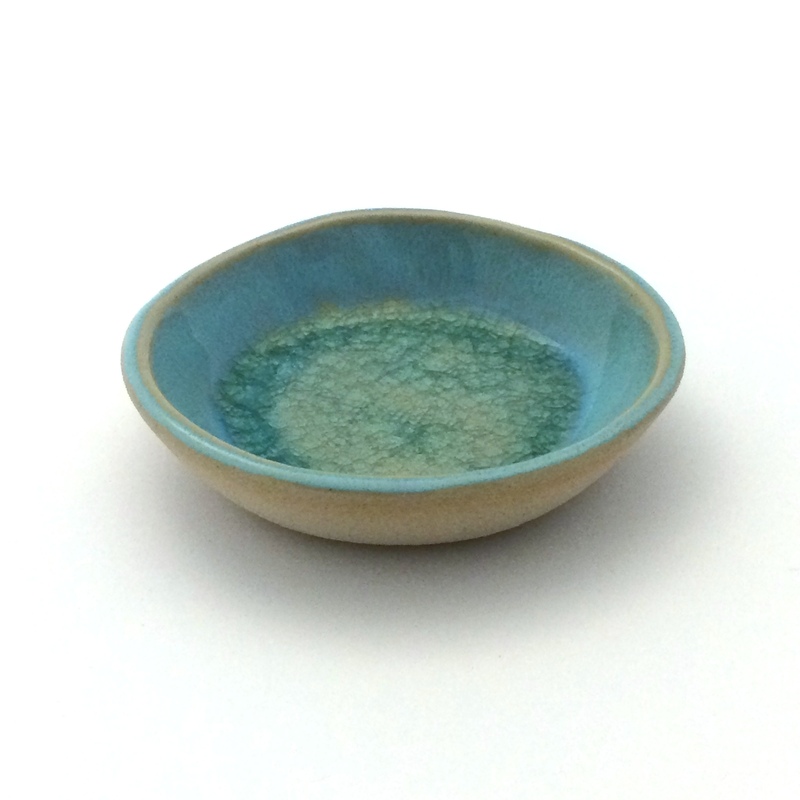 Each bowl was kiln-fired twice at high temperature to become durable, dish-washer safe stoneware. After using your bowl as a candle holder, it can hold your special rings, earrings, and jewelry; hold paperclips & little things in your work area; serve condiments (sauce, catsup, olive oil & balsamic vinegar, butter, honey, jam); hold soy sauce (when serving sushi); keep your daily vitamins; hold spices and potpourri; hold your tea bag; and work as a soap dish. ~ ~ ~ ~ ~ BYZANTINE SEA GLASS: Found on the Mediterranean coastline below a Crusader-era fortress near the ancient city of Apolonia, these sea glass pieces originate from an ancient glass workshop operational during the late Byzantine period. Experts estimate that artisans produced these glass pieces more than 800 years ago. Since then, these glass pieces were naturally shaped and polished by the sea, sand, wind and tidal forces. 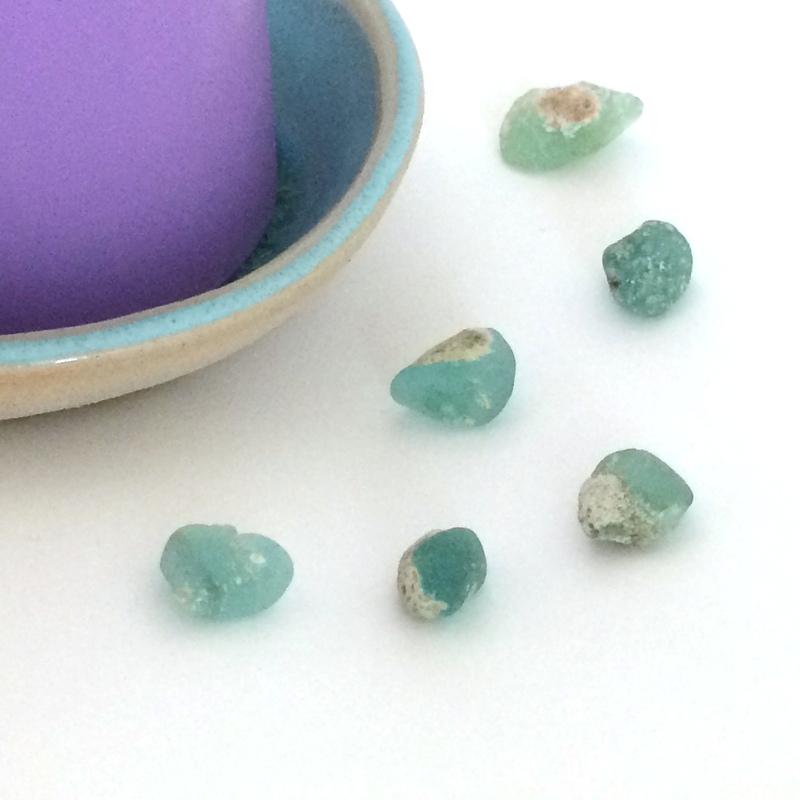 Scatter these little gems around your candle and bowl as precious decorative accents from antiquity.